Galliford Try is to raise £150m to help meet its additional financial obligations on the Aberdeen bypass in the wake of the Carillion collapse. 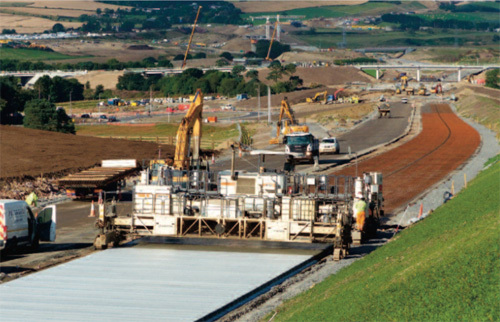 Commenting on the half-year results, chief executive Peter Truscott said: “We have reviewed the impact on our business from the compulsory liquidation of Carillion, which has resulted in a further reassessment of the likely out-turn from our participation in the Aberdeen Western Peripheral Route (AWPR) joint venture, leading to an exceptional charge of £25m. Last month Balfour Beatty, the third member of the AWPR consortium, said the cash impact of the Carillion situation was likely to be in the range of £35-£45m. As well as the Aberdeen bypass, Balfour Beatty partnered with Carillion on two other joint venture road jobs, both in England.